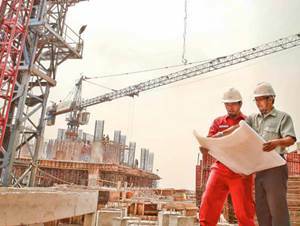 PT Hakaaston - Hakaaston is a directly-owned subsidiary company of state-owned construction company PT Hutama Karya (Persero) that is involved in trading business. Hakaaston engaged in providing a wide range of products for the construction of highways, airports, roads, Parking and others. Hakaaston operated in Asphalt Mixing Plant (AMP). Its business include asphalt retail sales and asphalt overlay in projects using flexible pavement. According to information found in PT Hutama Karya (Persero) Annual Report 2017 as cited by JobsCDC.com, PT Hutama Karya (Persero) is the majority shareholder at Hakaastron, with 99.75% of ownership. Other 0.25% remaining shares in Hakaaston was owned by Yayasan Kesejahteraan Karyawan PT HK. PT Hakaaston is based in Bekasi West Java and its head office is located at Ruko Plaza Deminimalis Kav 10, Jl Caman Raya, Jatibening Bekasi 17412. Hakaaston now has 11 production units spread in all over Indonesia. Minimum S1 degree, majoring in Civil Engineering, Mechanical Engineering, Accounting, Informatics Engineering. Minimum D3 degree, majoring in Civil Engineering, Mechanical Engineering, Accounting, Informatics Engineering. Minimum GPA of 2.75 (PTN). Required experience in the field for at least 1 project. JobsCDC.com now available on android device. Download now on Google Play here. Please be aware of recruitment fraud. The entire stage of this selection process is free of charge. PT Hakaaston - Management Trainee Program, Pro Hire Program Hutama Karya Group November 2018 will never ask for fees or upfront payments for any purposes during the recruitment process such as transportation and accommodation.